What do we have for dinner this week? Going to the movies on an empty stomach? On Thursday and Friday you don't have to, because on those days our chef Mireille in Rialto prepares delicious fresh comfort food in her pop-up restaurant (on our beautiful mezzanine) - at a very reasonable price. The soup costs € 5, the main course € 9. Enjoy! 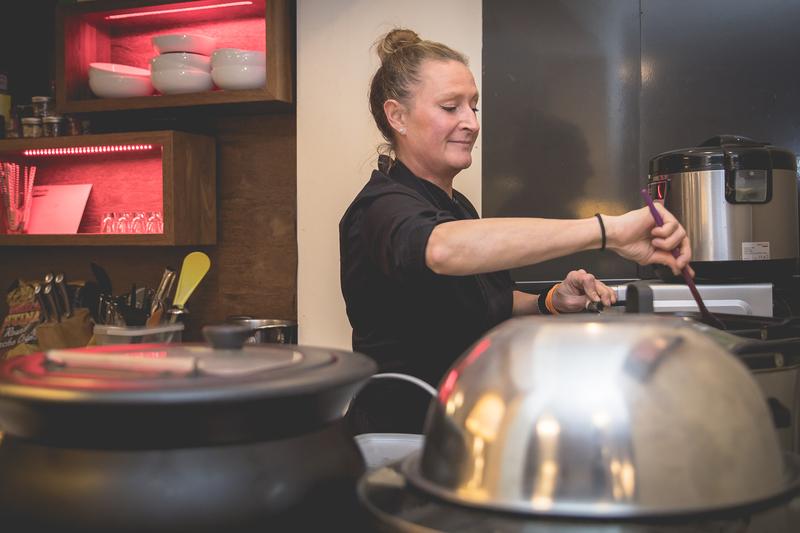 On Thursday 18 and Friday 19 April, Mireille serves the following dishes from 16.30: spring vegetable soup with asparagus and as main course pulled pork (or a vegan variant), rice and various vegetables of the day. All meals are always glutenfree.